My daughter loves homemade pancakes. 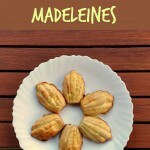 I often bake her as an after-school snack or as a breakfast during the weekend, when I have more time to cook and she has more time to eat! 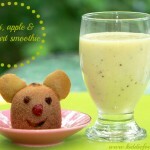 It is actually a great breakfast idea for kids - you can sneak some fruits in their tummies already in the morning! 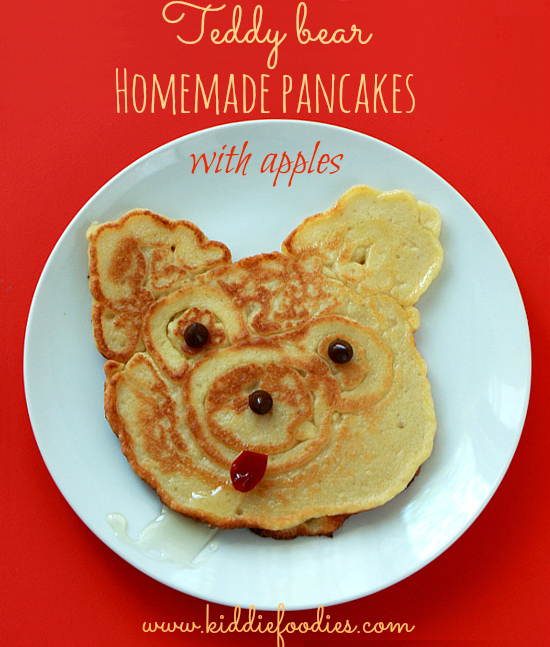 My daughter's favorite are pancakes with apples and maple syrup. 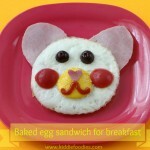 After the cute teddy bear sandwich she got for her breakfast, she asked me if I could also make teddy bear pancakes. I said I could try and here it is! 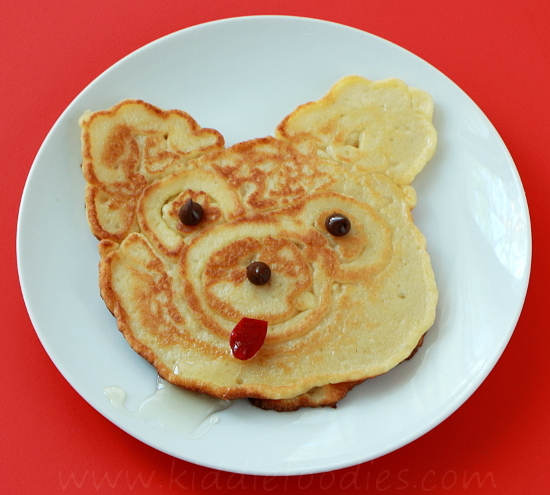 So if you ever wondered how to make teddy bear face pancakes with some cute swirls, look no further, but here! Did you know that archaeological evidence suggests that pancakes are probably the earliest and most widespread cereal food eaten in prehistoric societies? 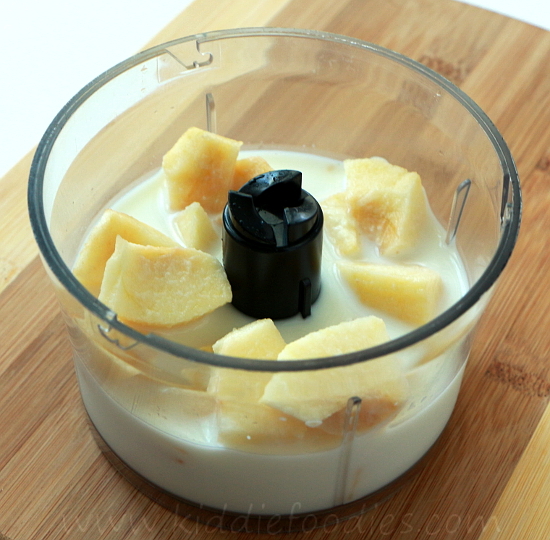 Step1 Mix the apple with milk. 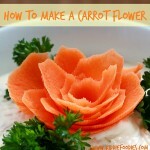 You can also cut the apple into tiny pieces or grate it. I always mix it, as this is how my daughter prefers it. Step2 Pour the mixture from Step1 into a bowl. 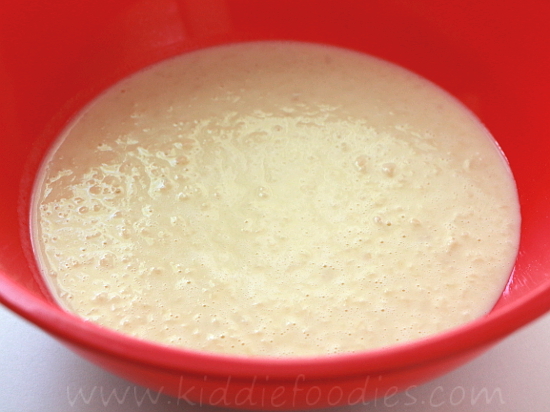 Add flour, egg, vanilla extract and the baking powder. Stir well. Step3 Heat the oil on the frying pan. 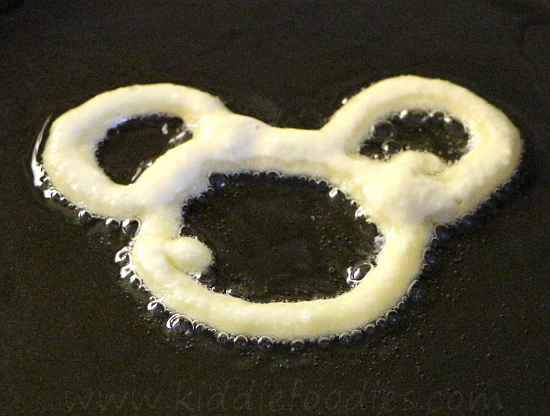 Draw 3 circles with the pancake mixture using a spoon. The biggest circle would be to shape the teddy bear's nose, the two smaller - his eyes. 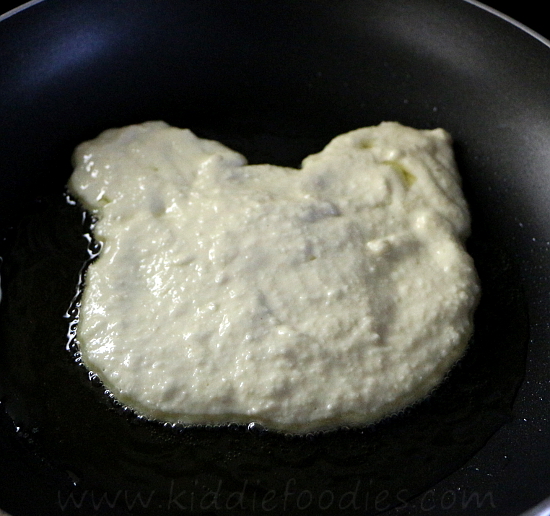 Let it fry for few seconds, then pour the rest of the mixture, shaping the bear's face and ears. Continue to fry for a few more seconds, then turn and fry on the other side, until well cooked. Step4 Place the chocolate chips - two for the eyes, one for the nose. Make a tongue from the apple. 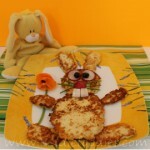 You can also add some honey or maple syrup, so this teddy bear homemade pancakes will be even more yummy:) Enjoy!